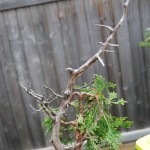 For years sandblasting has been used in some bonsai circles to clean up deadwood. The idea is that it will remove fuzz from carving, smooth “new” sharp edges created from carving, and strip away old dead bark while preserving the natural texture of the wood.I’ve always wanted to try it on Thuja since they have so many intricate little details which are often covered by old caked on dead bark that is extremely difficult to remove. The alternative is that you pick away at the dead bark with your fingernail or a variety of pointy tools, ideally after rain since the bark is soft. Still, it can be very difficult to get everything and not destroy the little details. My friend has a sandblaster with a small cabinet so I thought this little guy might be my first test subject. I’ve already spent lots of time picking and scraping at the dead bark on this one, but there is still a film of stubborn bark here and there, and the tiny jins on the character spire I am finding impossible to clean without breaking. Sandblasting works best on junipers or “driftwood species” like Thuja which have a defined live vein that has been cleaned of bark. 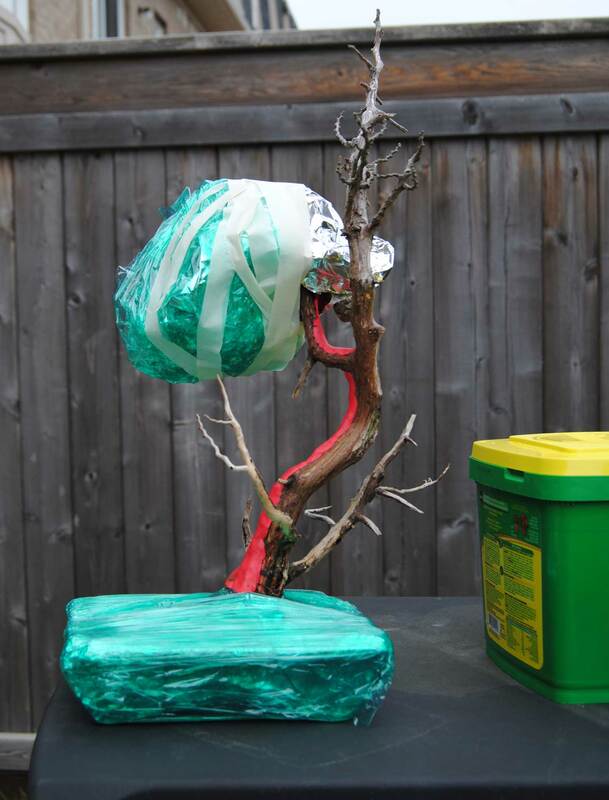 To prepare the plant for blasting, use a tacky clay like Plasticine to cover the live vein from the soil line to as far up the primary branching you can get. Protect the foliage and pot as best you can. 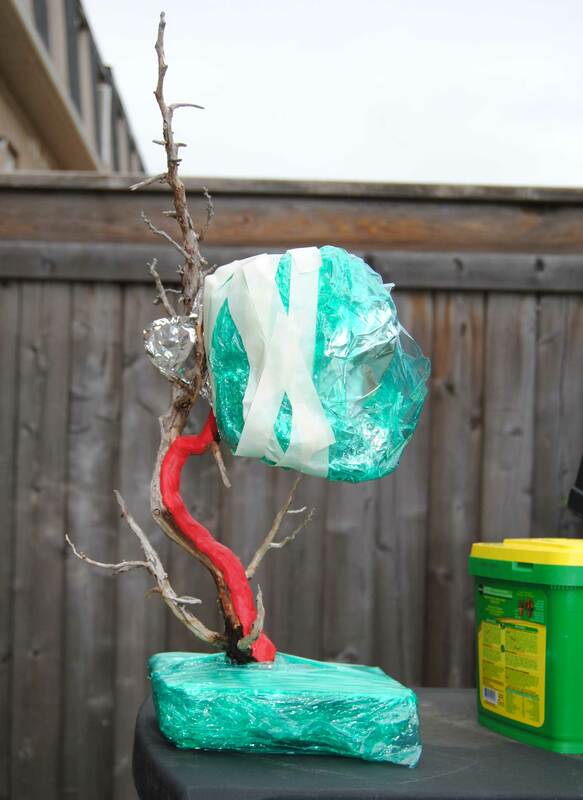 I used aluminum foil and shrink wrap. A cloth and shrink wrap would have worked just as well. 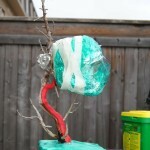 This step is MUCH easier if the tree has no wire on it (I learned that the hard way). This looks like exposed live vein, but it is actually dead bark where the live vein has receded due to large chops/shari creation. The sandblasting was done with a standard glass bead abrasive. I found 70 psi to be pretty ideal. I was very impressed with the results. I kind of expected the small jins to be blasted off, but they were left completely intact and clean as a whistle! Some people might be concerned that the natural silver patina of the deadwood has been lost. Well, if you use lime sulfur that shouldn’t matter to you. Furthermore, I find it takes two years in my yard for this silver colouration to return. In bonsai terms that isn’t really long. Is this a technique I will start using more regularly? While I still need to spend some time closely examining the results, it seems very likely. Perhaps my favourite thing about old collected Thuja is the little details. This tree was brought in to display at a local club meeting, and is more or less the same as it was when growing in the wild. Aside from some casual annual cutting and a bit of wire here and there, the owner has never really tried to make a bonsai of this tree. 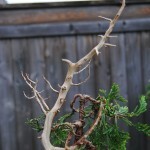 Instead it is just an old Thuja growing in a pot that is appreciated for its wild beauty. I would probably try to take the tree to a more refined state, although I understand the owner being content with the natural beauty of the tree. While at first glance a rather and straight and boring looking thing, the incredible details tell another story. 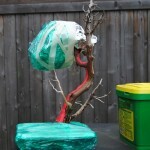 The tree is about 1m tall and is in a Sara Raynor pot. It is a gorgeous pot, but slightly too showy for my taste. Strange hollow jin. It almost looks like this was drilled out by a bonsai artist, but it is 100% natural.